Well, summer is over and I have been working like a mad woman trying to get my classroom put together in time to be a place of learning and growth. Well at least it will be a place where they won't trip over my boxes of stuff! I am excited and nervous about another year of teaching. It will be OK but I have a feeling that it will be a little more intense then last years group. I just hope they learn something worthwhile. 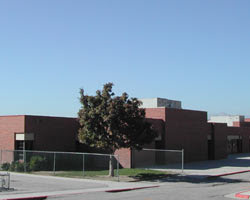 OK so this is my school, but it doesn't have the fence or grass like that anymore. At least the building looks the same. So you think you can get a little obsessed? 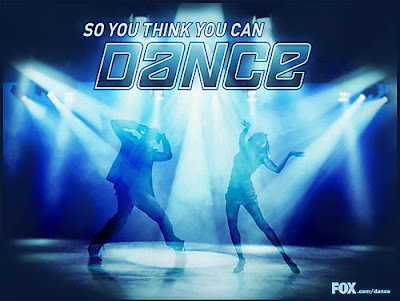 OK, so I have to admit that I am obsessed with So you think you can dance! I love to watch great dancing and the fact that there are new and amazing dances each week makes my life so much more enjoyable. Really I just wish I could dance like that and I live through watching others. I will have to stick with dancing alone in my apartment or with Addie to satisfy my dancing cravings. I just can't wait to see what they have in store for next week! I had the BEST camping trip this summer at Flaming Gorge. I went knee boarding and I didn't kill myself. I also hiked, was a good luck charm for the fish, rafted, and tried craw fish! It was a jam packed trip and I had the bruises and soar muscles to prove it. I think having tons of people there (it was a ward trip) made it even better. I never got tired of being with people because I was with different people all the time. I even got to know things about people I didn't know before. Nature is great and to be able to share it with great people made it even better. Though next time I need to take a better sleeping mat.